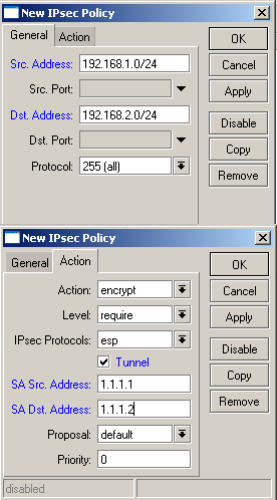 We needed to setup IPsec VPN for a client with a remote location that already had Cisco ASA. 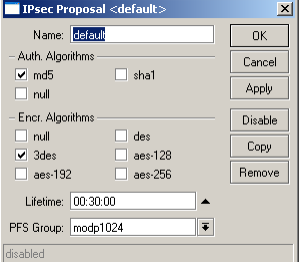 So, here is a Mikrotik to Cisco ASA IPsec howto. 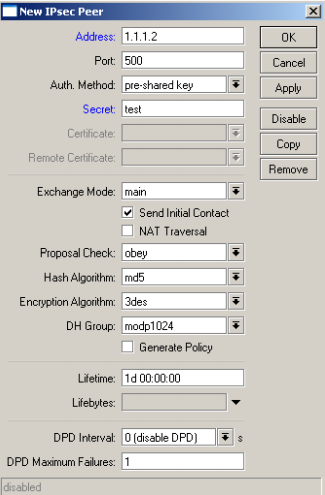 Set the Remote Peer IP Address: 1.1.1.1(Mikrotik WAN) and Pre-shared key. 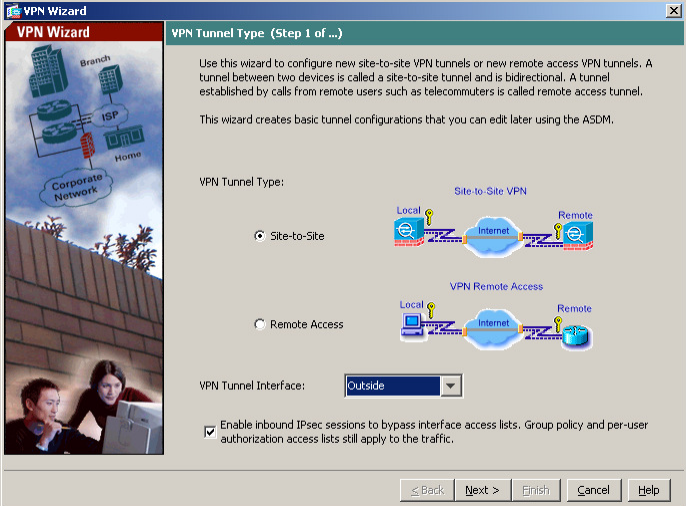 Also Tunnel Group Name should be the Remote Peer IP Address. 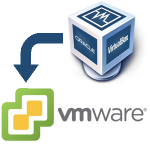 Now you can connect your branch offices using Mikrotik Routers even if you have Cisco ASA’s installed on the other locations.